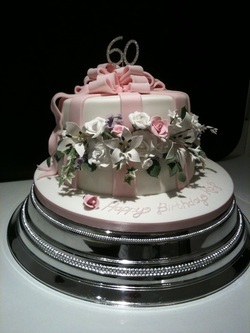 Dear Rachel, Sincere thanks for the most spectacular wedding cake ever! We could not believe our eyes, it was truly amazing. 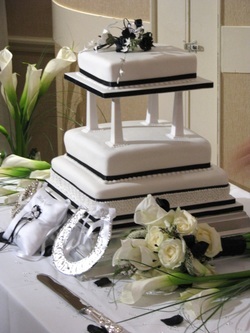 We just wish you could have seen the look on our guests faces when they saw our cake. 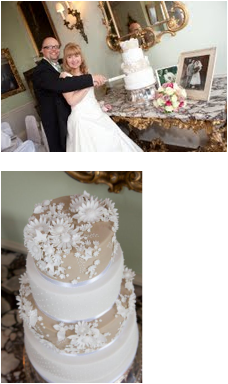 Even the staff at Prestwold Hall were blown away with the quality and craftsmanship that went into such a beautiful and delicate cake. They even aksed for your contact details so they can contact you for other weddings. From start to finnish your creativity, professionalism and skills shone throughout, and as for the gluten free tier - wow delicious ! turn it into a perfect and very tasty focal point. 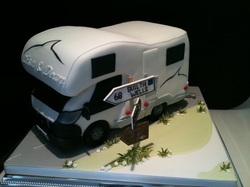 Dear Rachel, Thank you so much for the fantastic cake.....we never believed you would be able to recreate our beloved RV as our very special wedding cake. The detail was amazing and we loved the little extra touches such as the sign posts with our favorite places on, fabulous cake for our special day...we absolutely loved it both to look at and to eat ! 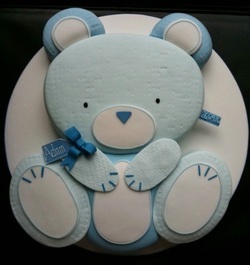 wow, what can I say... not only did our cake look amazing and was exactally what we designed with you, it also tasted fantastic too, thanks love the cake, will be reccomending you to all. My Dad thought his cake to celebrate his 75th birthday was fantastic. For once he was speechless! The detail on the Bottle of Guinness cake was incredible right down to Arthur Guinness' signature. In fact Dad thought he could taste the Guinness in the icing! The sponge was delicious, you truly are a very gifted lady.